Everybody who lives in Switzerland knows: It's no shopping paradise for beauty products because they are far more expensive than in the neighbouring countries. Retailers put it mostly on the higher salaries and the exchange rate fluctuations. 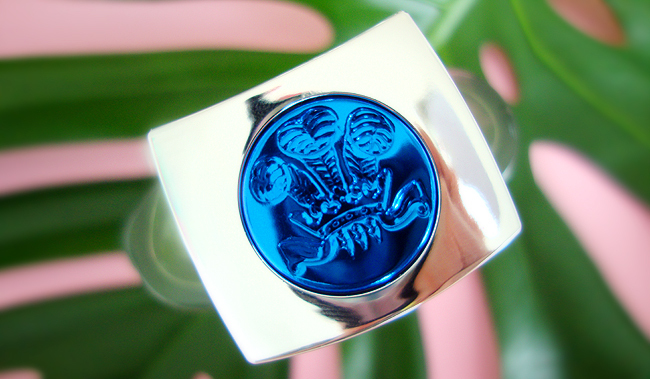 Ordering from abroad is no solution since you have to bear very high customs duties sometimes. More is More, unless when it comes to prices! The founders of the online shop beautycare.ch were convinced it must be possible to get beauty products for less in Switzerland. With their network of sellers and contacts, they found ways to make this vision come true. Nowadays they sell two-thirds of products cheaper than 140 other shops. They offer hair products, cosmetics, and perfume, all for women and men. Besides the well-known big brands every good department store has on their shelves, you will find a few rarer gems as well. My first order was a bottle of Creed Virgin Island Water. It's one of those perfumes you don't find in every department store, and even if it got recommended to me by a friend, I never had the chance to try it. 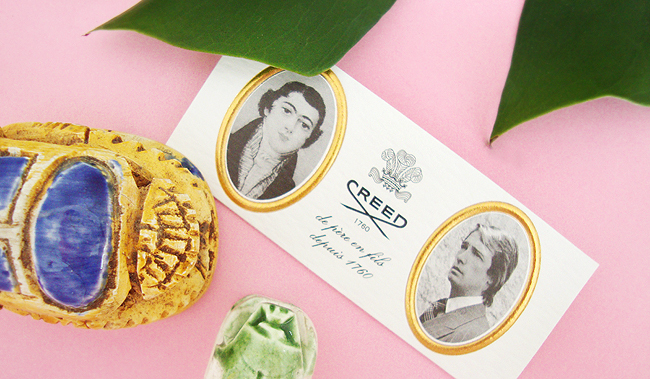 The name of this unisex scent promises a scent like from a tropical paradise, and therefore I was curious. Just to make it clear: If you don't like coconuts, better stop reading! If you are a coconut sucker like me, Virgin Island Water will be a revelation. It's THE ultimate coconut scent, it smells holiday in a bottle, distinctive and unique at the same time. My first spritz made me fall in love with the uplifting cocktail of coconut, lime, and ginger. While the bottle looks rather masculine, I can imagine many men would not favour it, because of the many sweet notes like vanilla, hibiscus, white rum, sugar cane and jasmine, but my girly nose is enchanted. 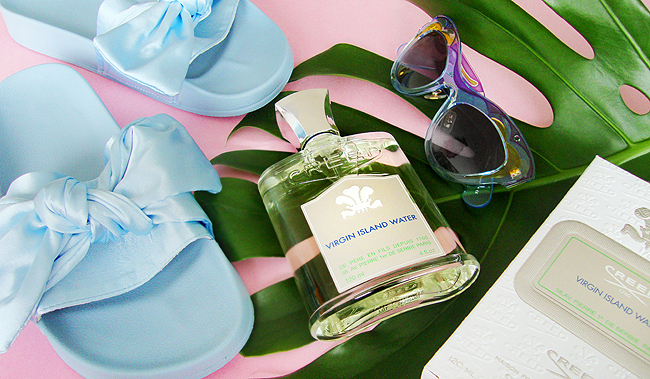 I found my summer fragrance, and I might wear it the whole winter as well to keep dreaming of a beautiful coconut island! 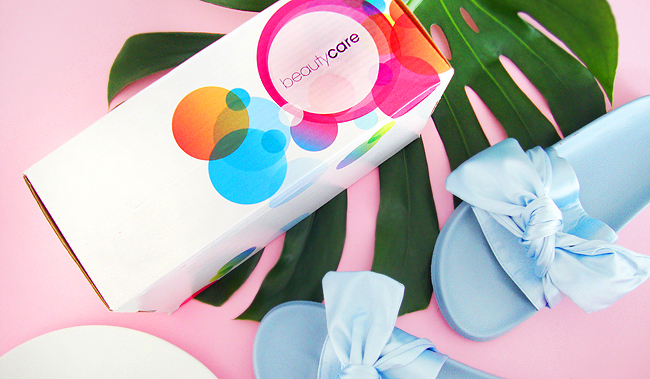 You can't say I don't treat my readers well: I want you to have the experience of shopping at beautycare.ch. Therefore I am giving away a CHF 50 voucher. 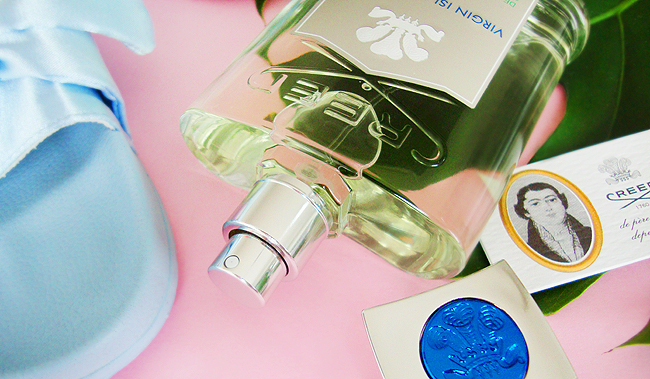 All you have to do is to leave a comment on this post and tell me about your favourite perfume. This giveaway is open to all residents of Switzerland and will end on the 24th of August 2017. You must all know already: I love receiving parcels, and I love surprise boxes. Therefore I was pleased as punch to find the La Petite Box Tropical edition in my letterbox a while ago. 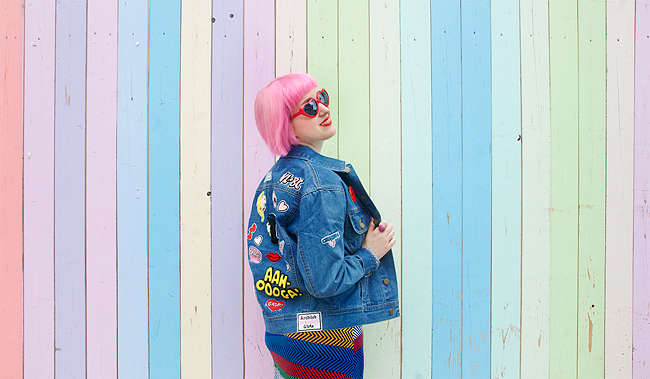 La Petite Box is a monthly Swiss lifestyle, fashion and beauty subscription box. Every box has a new theme and is filled with selected items. If you hold the box in your hands and see how carefully and lovely it's packed, you can feel the love the makers put into their project. They deliver to Switzerland, Germany and Austria. The box that I got was curated by Swiss fashion blogger Nissi Mendes. Nissi has Portuguese roots and is a girl who likes to travel a lot. 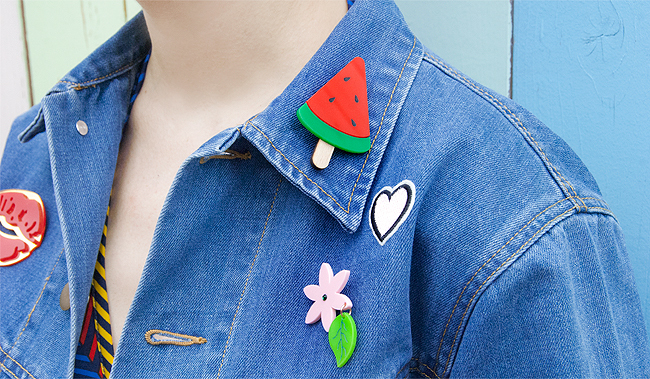 The content of the box reflects her attitude and is right on trend with the tropical vibes. I love this box, and especially the T-Shirt and I are going to be good friends this summer. I am happy to have the Similasan products because I bought the face cream of the same line and loved it and can't wait to include the whole series in my daily routine. 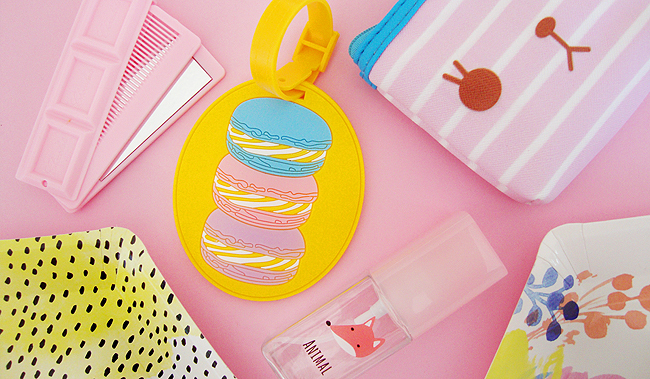 A few of the other products like the suncream and the mini perfume will be very handy for my upcoming holidays. I am satisfied and curious what the theme of the next one will be! 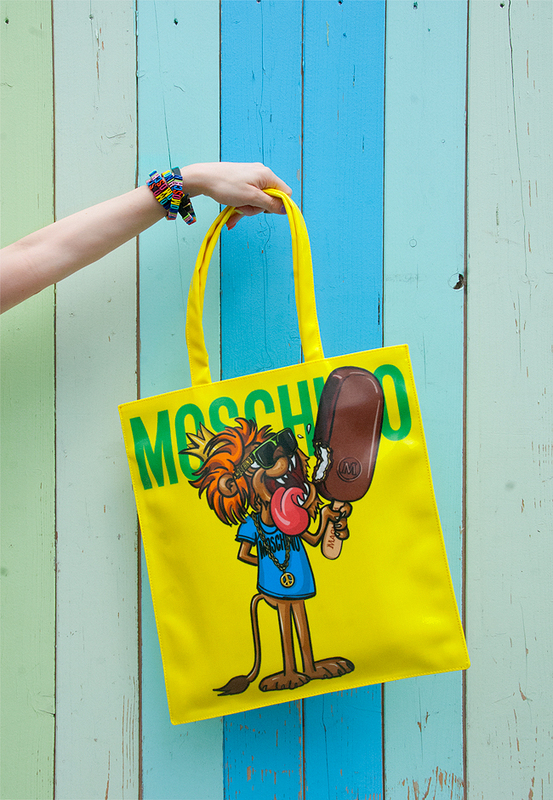 Magnum x Moschino: Unleash Your Wild Side! 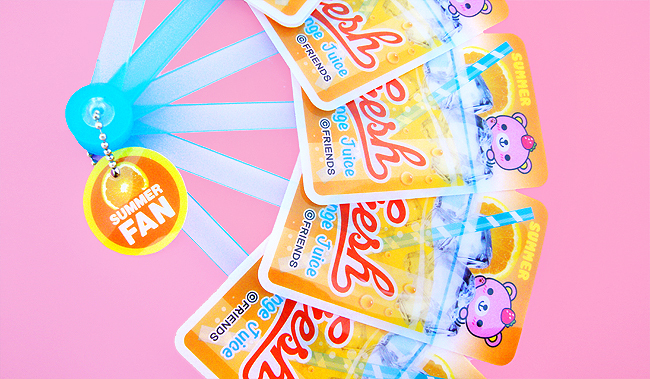 What is better than eating delicious ice cream on a hot summer day? 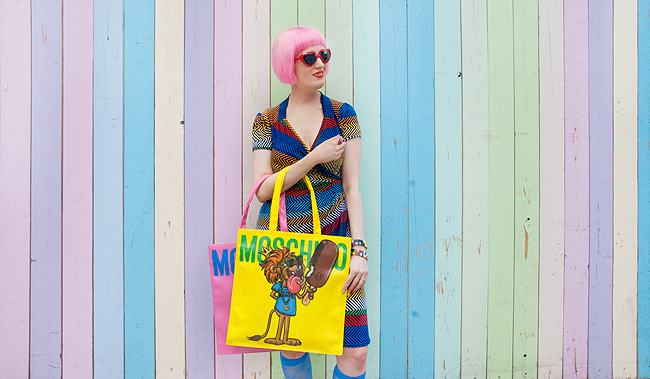 When Magnum teams up with Moschino's Jeremy Scott to create a capsule collection of quirky comic bags! It is an unexpected union of two things that I love, and I couldn't be more excited. 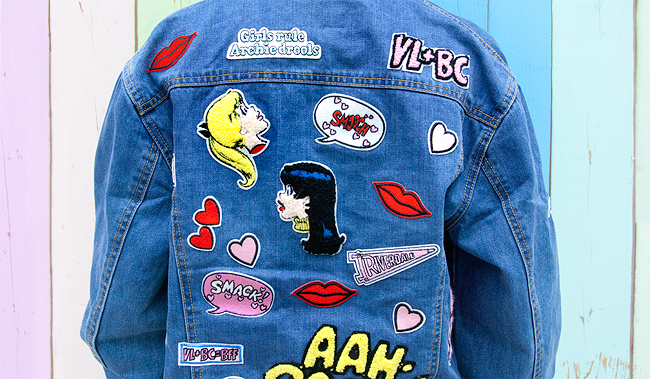 Since rebellious Jeremy Scott became creative director of Moschino, I am deeply in love with how the label pushes the limits of style again and again. 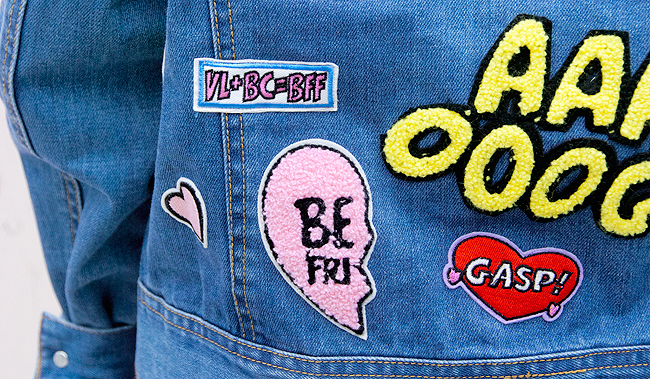 Their clash of luxury high fashion with pop culture and lowbrow is truly unique and fashion at its best: Bold and fresh! 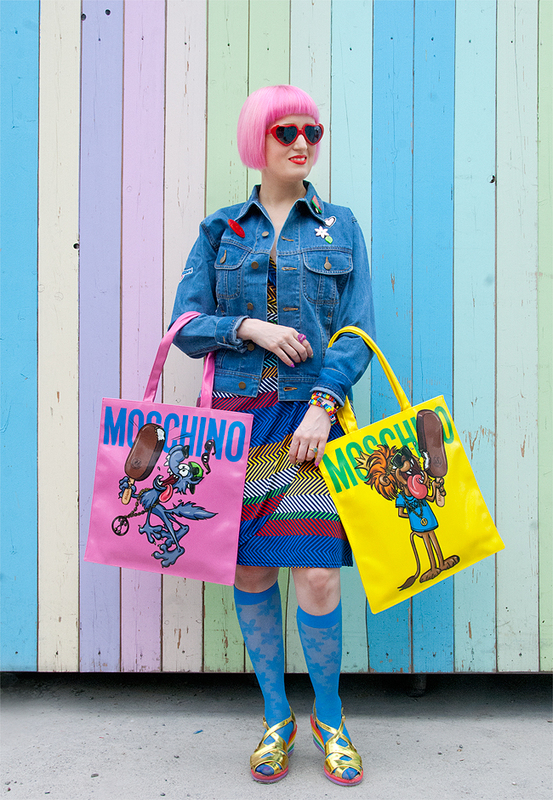 The collaboration with Magnum seems logical after Moschino's Mac Donalds inspired collection a few years ago ( I still adore this collection so much and I am happy I own a bag). No fast food menu without dessert! Of course, I couldn't resist getting one of the bags. And guess what: I didn't just greedily grab one for myself, but secured one for one of my lovely readers too. Read below how to enter my giveaway. 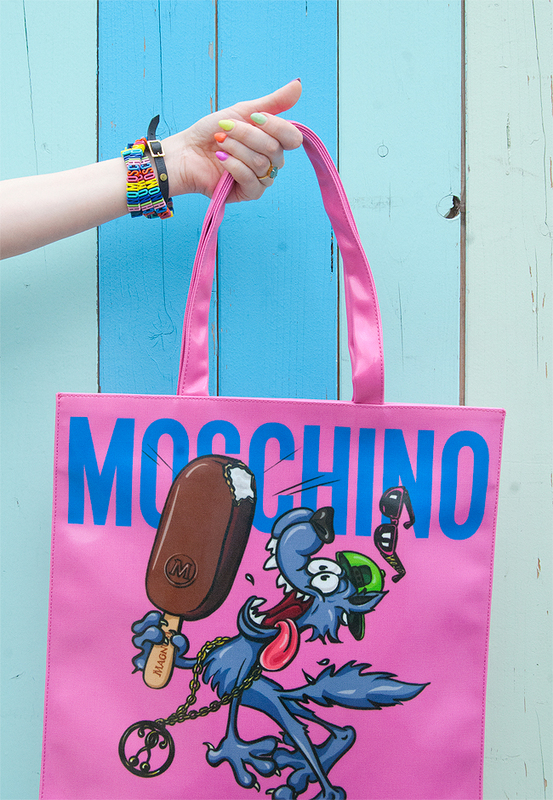 This summer you will see me eating the new Magnum Double ice cream bars raspberry and coconut (very, very yummy) while I carry my Moschino wild beast with me. Yay! Simply leave a comment below this post. 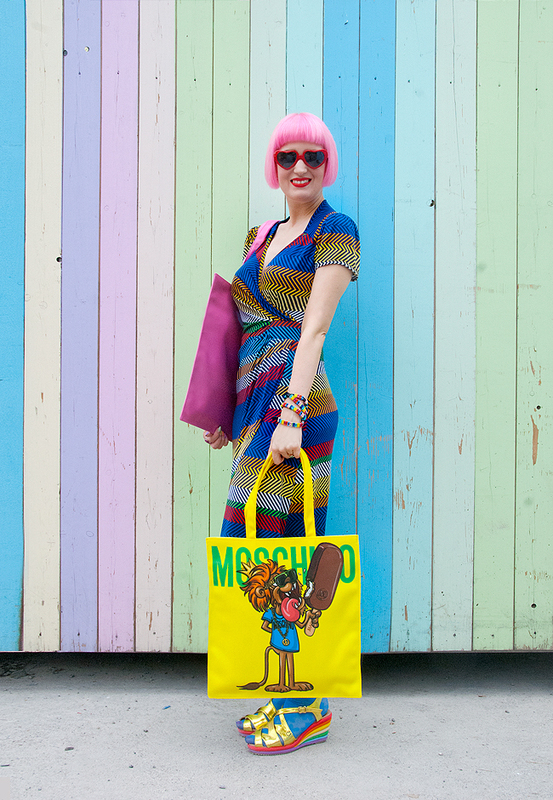 I will give away a limited yellow Moschino x Magnum bag, value EUR 260. The giveaway is open worldwide and ends on the 6th of August 2017. 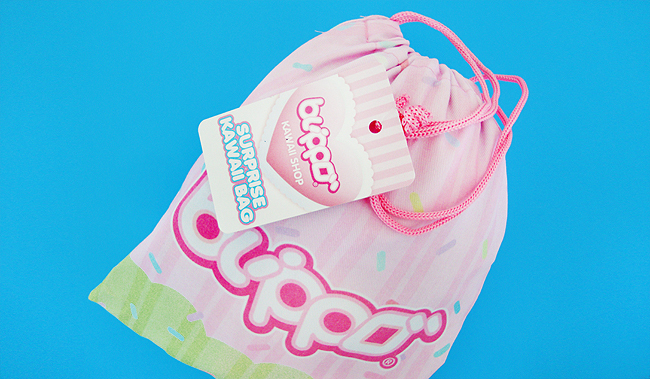 The lovely guys from Blippo landed their next cute coup: The Fukubukuro lucky mystery bags. 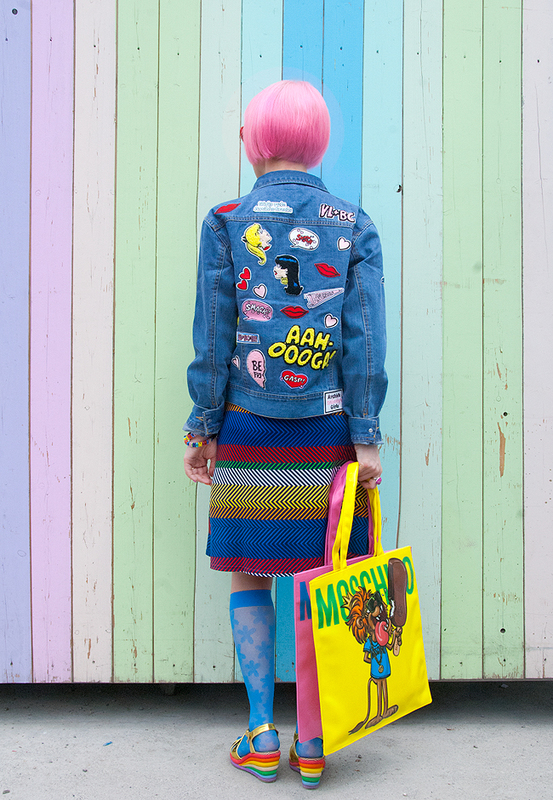 They offer not just one, but six different bags, all generously filled with stickers, magazines, plush toys, candy or stationery items from Asia. It's your choice for which one you go to join a trend which is very popular in Japan. 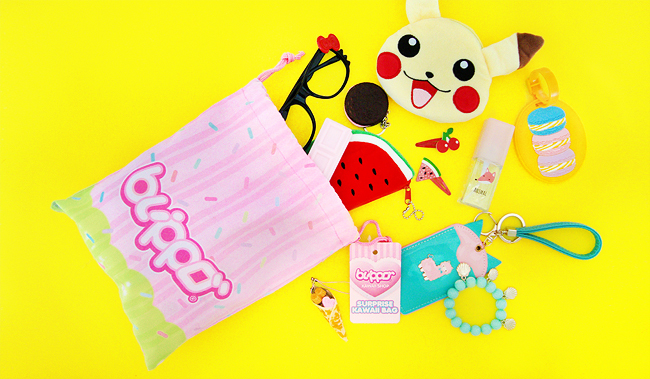 Each bag is randomly filled with a mix of at least 15 products from the kawaii warehouse of Blippo. 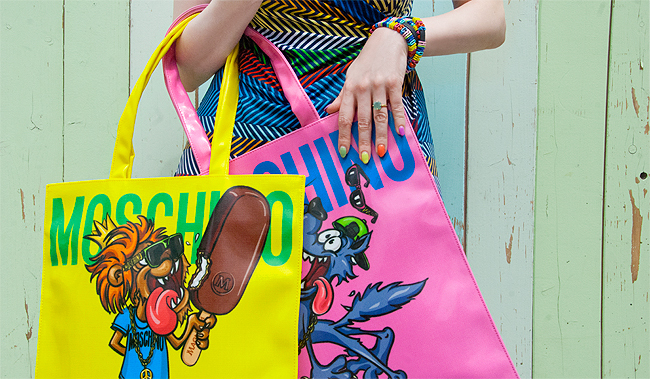 The real value of everything in the bag is about 50 Dollars. The prices start from $ 11.90 and go up to $ 36.90 for the Magazine pack; worldwide shipping is included in all orders. 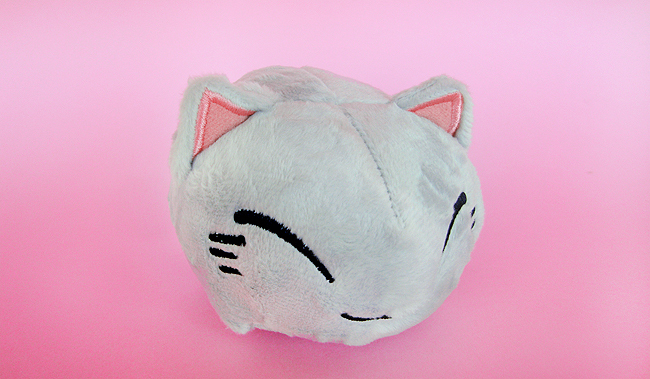 When my Surprise Kawaii Mixed Bag reached me, I was very curious and couldn't wait to open it. 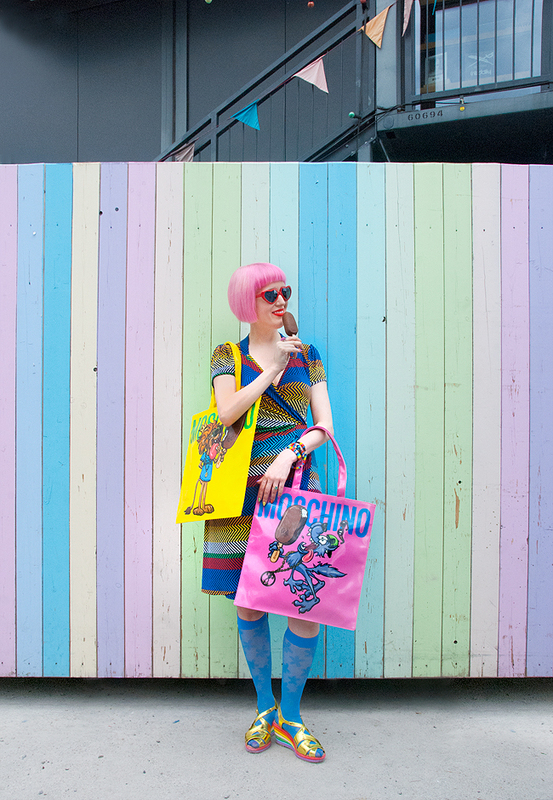 As soon as I spotted the stuffed pink bag, my excitement got even bigger, because it looked like a candy itself. But the inside was even better: I took out piece after piece of surprises, and it seemed never-ending. 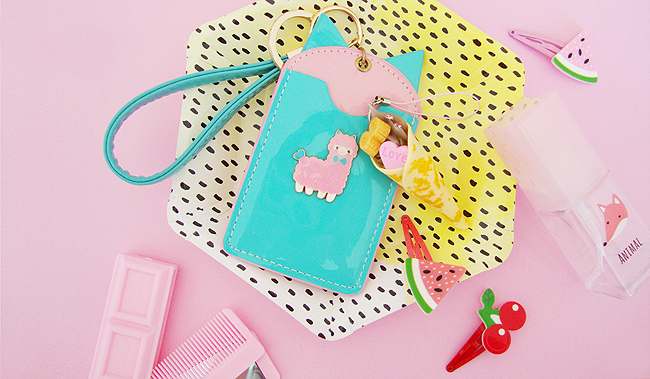 Cute plush items, Hello Kitty sunglasses, the most adorable fruit hair clips and two gorgeous luggage tags and much more came out of my bag. 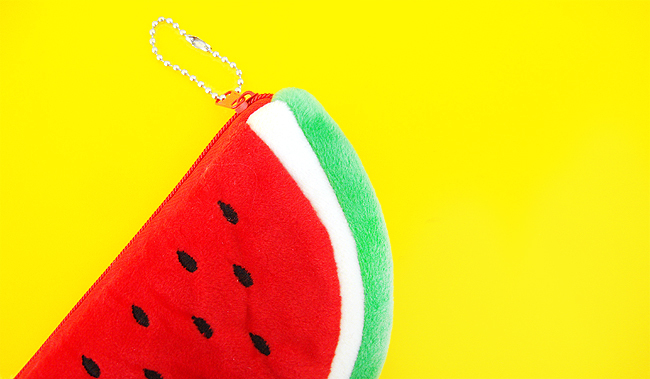 The little melon purse already found a place in my handbag, and I will label my suitcase with the lama tag for this summer holidays. 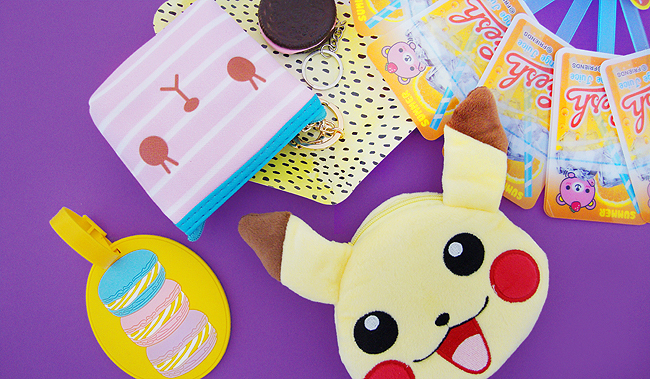 I think I rarely got so many things for less than $ 20 and therefore I can honestly recommend the lucky bags. They are lovely gifts for lovers of everything kawaii as well, and therefore I want to give one as a gift to a lovely reader.